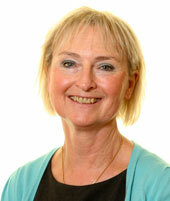 Pauline Horne is Professor in Child Development and Learning at the School of Psychology, Bangor University. She is also Director of the Centre for Activity and Eating Research (CAER) at Bangor. With her late colleague Professor Fergus Lowe, she founded, and from 2012-2015, served as a Director of Food Dudes Health Ltd, a social enterprise established to create and deliver behaviour change interventions developed by the Bangor research team to improve children’s health and wellbeing. She has also served as advisor to the UK and Irish Governments on changing children’s dietary habits, and to the European Commission in setting up the EU School Fruit Scheme for its 27 Member States. Pauline’s basic and applied research is guided by the principles of behaviour analysis. In collaboration with Professor Fergus Lowe, she has led the development of the Food Dudes Healthy Eating Programmes and Dynamic Dudes Physical Activity Programmes designed to target child obesity and tailored for 3-11 year old children attending primary schools. The Food Dudes programme provided a highly-rated impact case study in the last REF. As a Director of Research for Food Dudes Health, she secured funding, designed and led controlled studies essential for ensuring that the Food Dudes and Dynamic Dudes programmes are underpinned by a strong evidence base. Throughout her career Pauline has also conducted basic research on children’s food preferences and daily physical activity. Her other longstanding research interests include the role of naming in children’s psychological development, an interest that led to publication of a target article, which proposed a new behavioural account of the early social determinants of naming (the “Naming Account”; Horne & Lowe, 1996). Predictions of the account were then tested in a series of empirical studies documenting the impacts of naming on young children’s ability to categorise, imitate others, and regulate their own behaviour. 1998 Caroline Walker Trust Award for our "outstanding contribution to health". The Trust's awards are made annually for contributions in the domains of Science, Industry, the Media and Consumer Affairs to recognise work that advances public health through good nutritional practices. 2006 World Health Organisation Best Practice Award for the Food Dudes Programme in Ireland, presented at the European Ministerial Conference on Counteracting Obesity, held in Istanbul. 2010 The Chief Medical Officer’s (UK) Gold Medal Awards for Combating Obesity for impacts of the implementation of Food Dudes in primary schools throughout Wolverhampton. Won in competition with hundreds of medical/health projects from across the UK. 2012 Society for the Advancement of Behavior Analysis Scientific Translation Award to recognize the behaviour change research conducted over the past 22 years in the domain of applied children’s food preferences and its successful national and international translation. The award was presented to us before an audience of 4,000 delegates at the Annual International Association for Behavior Analysis conference in Seattle, May 2012. I have supervised 22 PhD students—9 in applied behaviour change and the remainder in basic behaviour analysis/child development; all have been awarded their PhDs, the majority with no revisions, and a few with minor corrections. I ensure that my postgraduate students develop good research, data analysis, literature search, and time-management skills. I meet each student weekly to assess progress, set new targets and address any issues that may have arisen. In the last 5 years, I have also supervised 4 KESS MRes students, all of whom were successful. I have also served as the Chair, or Internal Examiner for numerous PhD Thesis Committees in the School, and have served as External PhD Examiner in other Universities. Catherine Sharp: Development and controlled evaluation of a role modelling and rewards intervention to increase pre-school children’s consumption of fruit and vegetables in a nursery setting. Sophie Mitchell: Development of the exercise DVD aspect of a multi-component behaviour change intervention to increase daily physical activity and finess in primary school children. Shona Whitaker: Dynamic dudes: Developing a multi-component physical activity intervention for primary school aged children. Catherine Sharp: Development and evaluation of a healthy eating and physical activity behaviour change intervention targeting 3-4 year old children. Vera Camoes-Costa: The relation between gestural imitation and naming in young children. Vicky Lovett: The determinants of imitation in human infants. Marleen Adema: Super-ordinate Naming and Higher Order Category Learning in Young Children. Charlotte Hardman: Increasing physical activity in children. Paula Gurteen: A behavioural analysis of rapid word learning in infants. Mihela Erjavec: Determinants of gestural imitation in young children. Fay Harris: Naming, gesture, and categorisation in young children. Yvonne Tommis: Teaching pre-school children to perform from conventional music notation: an exploration of different methods. Janette Woolner: A behavioural analysis of pre-school children’s food preferences. J. Carl Hughes: Naming and generalisation of behaviour infants. Valerie Randle: Naming and categorisation in preschool infants. Margaret Bell: The determinants of naming in human infants. Paul Fleming: The acquisition and alteration of food consumption patterns in preverbal and verbal children. Alan Dowey: Psychological determinants of children’s food preferences. Lynne Henry: The assessment and modification of verbal behaviour in people with dementia. John Griffiths: Verbal regulation of behaviour in children: establishing effective dental care. Nick Sofroniou: The development of rule-governed behaviour. Paul Chadwick: The measurement and modification of delusional behaviour. Julie Hird: Stimulus equivalence in mentally handicapped and normal subjects: The role of language. Neil Dugdale: The role of naming in stimulus equivalence: Differences between animals and humans. Alan Beasty: The role of language in the emergence of equivalence relations. [NB. For ease of explication, authors who were postdoctoral researchers are identified by an asterisk after their name (*), and postgraduate students by two asterisks (**)]. Erjavec, M., Horne, P.J. ; Hughes, J.C.; & Sharp, C. (2015). In memoriam: C. Fergus Lowe 1946–2014. Journal of the Experimental Analysis of Behavior. 104 (2) 93-95. Erjavec, M.; Viktor, S.; Horne, P. J.; & Lowe, C. F. (2012). Implementing a healthy eating programme: Changing children's eating habits for life. Community Practitioner. 85, (4) 39-40. Camoes-Costa**, V., Erjavec, M., & Horne, P. J. (2011). The impact of body-part naming training on the accuracy of imitative performances in 2- to 3-year-old children. Journal of the Experimental Analysis of Behavior, 96, 291-315. Gurteen**, P. M., Horne, P. J., & Erjavec, M. (2011). Rapid word learning in 13- and 17-month-olds in a naturalistic two-word procedure. Journal of Experimental Child Psychology, 109, 201-217. Horne, P. J., Greenhalgh*, J., Erjavec, M., Lowe, C.F., Viktor**, S., & Whitaker, C. J. (2011). Increasing pre-school children’s consumption of fruit and vegetables. A modelling and rewards intervention. Appetite, 56, 375-385. Hardman*, C., Horne, P. J., & Lowe, C. F. (2011). Effects of rewards, peer modelling and pedometer targets on children’s physical activity: a school-based intervention study. Psychology and Health, 26, 3-21. Camoes-Costa*, V., Erjavec, M., & Horne, P. J. (2010). Comprehension and production of body-part labels in 2 to 3-year-old children. British Journal of Developmental Psychology, 29, 552-571. Greenhalgh*, J., Dowey*, A. J., Horne, P. J., Lowe, C. F., Griffiths*, J. G., & Whitaker, C. J. (2009). Positive and negative peer modelling effects on young children's consumption of novel blue foods. Appetite, 52, 646-653. Horne, P. J., Hardman**, C., Lowe, C.F., Tapper**, K., Le Noury**, J., Madden**, P., Patel**, P., & Doody**, M. (2009). Increasing parental provision and children’s consumption of lunchbox fruit and vegetables in Ireland: the Food Dudes intervention. European Journal of Clinical Nutrition, 63, 613-618. Lowe, C. F., & Horne, P. J. (2009). “Food Dudes”: Increasing children’s fruit and vegetable consumption. Cases in Public Health Communication & Marketing, 3, 161-185. Horne, P. J., Hardman*, C., Lowe, C.F., & Rowlands, A.V. (2009). Increasing children’s physical activity: a peer-modelling, rewards, and pedometer-based intervention. European Journal of Clinical Nutrition, 63, 191-198. Hardman*, C., Horne, P. J., & Lowe, C. F. (2009). A home-based intervention to increase physical activity in girls: the Fit'n'Fun Dudes program. Journal of Exercise Science and Fitness, 7, 1-8. Hardman*, C., Horne, P. J., & Rowlands, A. (2009). Children's pedometer determined physical activity during school-time and leisure-time. Journal of Exercise Science and Fitness, 7, 129-134. Erjavec, M., Lovett*, V.E., & Horne, P.J.(2009). Do infants show generalized imitation of gestures (2): The effects of skills training and multiple exemplar matching training. Journal of the Experimental Analysis of Behavior, 91, 355-376. Horne, P. J., Erjavec, M., & Lovett*, V. E. (2009). The effects of modelling, stimulus enhancement, and affordance demonstration on the production of object-directed actions in 6-month-old infants. British Journal of Developmental Psychology, 27, 269-281. Erjavec*, M., & Horne, P. J. (2008). Determinants of imitation of hand-to-body gestures in 2- and 3-year-old children. Journal of the Experimental Analysis of Behavior, 89, 183-207. Horne, P. J., & Erjavec*, M. (2007). Do infants show generalized imitation of gestures? Journal of the Experimental Analysis of Behavior, 87, 63-87. Horne, P. J., Lowe, C. F., & Harris*, F. D. A. (2007). Naming and categorization in young children: V. Manual sign training. Journal of the Experimental Analysis of Behavior, 87, 367-381. Lowe, C. F., Horne, P. J., Hardman**, C., & Tapper**, K. (2006). A peer-modeling and rewards-based intervention is effective in increasing fruit and vegetableconsumption in children. Preventive Medicine, 43, 351. Horne, P. J., Hughes*, J. C., & Lowe, C. F. (2006). Naming and categorization in young children: IV: Listener behavior training and transfer of function. Journal of the Experimental Analysis of Behavior, 85, 247-273. Lowe, C. F., Horne, P. J., & Hughes*, J. C. (2005). Naming and categorization in young children: III : Vocal tact training and transfer of function. Journal of the Experimental Analysis of Behavior, 83, 47-65. Horne, P. J., Tapper**, K., Lowe, C. F., Hardman, C. A., Jackson**, M. C., & Woolner**, J. (2004). Increasing children's fruit and vegetable consumption: A peer-modeling and rewards-based intervention. European Journal of Clinical Nutrition, 58, 1649-1660. Horne, P. J., Lowe, C. F., & Randle*, V. R. L. (2004). Naming and categorization in young children: II: Listener behavior training. Journal of the Experimental Analysis of Behavior, 81, 267-288. Lowe, C. F., Horne, P. J., Tapper**, K., & Bowdery**, M., & Egerton, C (2004). Effects of modelling and rewards based intervention to increase fruit and vegetable consumption in children. European Journal of Clinical Nutrition, 58, 510-522. Tapper**, K., Horne, P. J., & Lowe, C. F. (2003). Helping children eat fruit and vegetables. The Psychologist, 16, 18-21. Lowe, C. F., Horne, P. J., Harris*, F. D. A, & Randle*, V. R. L. (2002). Naming and categorization in young children: I: Vocal tact training. Journal of the Experimental Analysis of Behavior, 78, 527-549. Henry*, L. M., & Horne, P. J. (2000). Partial remediation of speaker and listener behavior in people with severe dementia. Journal of Applied Behavior Analysis, 33, 631-634. Horne, P. J., & Lowe, C. F. (1997). Toward a theory of verbal behavior. Journal of the Experimental Analysis of Behavior, 68, 271-296. Lowe, C. F., & Horne, P. J. (1996). Reflections on naming and other symbolic behavior. Journal of the Experimental Analysis of Behavior, 65, 315-353. Horne, P. J., & Lowe, C. F. (1996). On the origins of naming and other symbolic behavior. Target article. Journal of the Experimental Analysis of Behavior, 65, 185-241. Horne, P. J., Lowe, C. F., Fleming*, P. F. J., & Dowey*, A. J. (1995). An effective procedure for changing food preferences in 5-7 year old children. Proceedings of the Nutrition Society, 54, 441-452. Horne, P. J., & Lowe, C. F. (1993). Determinants of human performance on concurrent schedules. Journal of the Experimental Analysis of Behavior, 59, 29-60. Catania, A. C., Lowe, C. F., & Horne, P. J. (1990). Nonverbal behavior correlated with the shaped verbal behavior of children. The Analysis of Verbal Behavior, 8, 43-57. Catania, A. C., Horne, P. J., & Lowe, C. F. (1989). Transfer of function across members of an equivalence class. The Analysis of Verbal Behavior, 7, 99-110. Lowe, C.F., & Horne, P.J. (1988). On the origins of selves and self-control. Behavioral and Brain Sciences, 11, 689-690. Horne, P.J. (1988). Review of G. C. L. Davey & C. Cullen (Eds). Human operant conditioning and behaviour modification. British Journal of Psychology, 29, 550-552. Lowe, C.F., Horne, P. J., Viktor, S., Kelly, P., Pears**, S., & Anthony, T. (2011). “Franchising” Social Marketing. In J. French, R. Merritt, and L. Reynolds (Eds), Social Marketing Casebook. Sage: London, UK, 218-231. Horne, P. J., & Lowe, C. F. (2002). Il Naming e altri comportamento simbolici. In P. Moderato & P. N. Chase (Eds), Pensieri, Parole e Comportamento. Milano: McGraw-Hill, 57-90. Horne, P. J., & Lowe, C. F. (2002). Un'analisis critica del fenomeno dell'equivalenza delo stimolo. In P. Moderato & P.N. Chase (Eds), Pensieri, Parole e Comportamento. Milano: McGraw-Hill, 119-130. Lowe, C. F., Horne, P. J., Bowdery, M. A., Egerton, C., & Tapper**, K. (2001). Increasing consumption of fruit and vegetables in children. In J. S. A. Edwards & M. M. Hewedi (Eds), Culinary Arts and Sciences III, Global and National Perspectives. Poole: Bournemouth University, 363-371. Horne, P. J., & Lowe, P. J. (2000). Putting the naming account to the test: Preview of an experimental program. In J. C. Leslie & D. E. Blackman (Eds), Issues in Experimental and Applied Analyses of Human Behavior. Reno, Nevada: Context Press, 127-148. Lowe, C. F., Horne P. J., Woolner*, J., Dowey*, A. J., Fleming*, P. F. J., & Griffiths*, J.(1995). The psychological determinants of children's food choice. In E. Feichtinger & B.M. Kohler (Eds), Current Research into Eating Practices: Contributions of Social Sciences. Proceedings of the European Interdisciplinary meeting-AGEV, Frankfurt AM Mein: Umschau-Zeitschr-Verlag, pp. 228-230. Lowe, C. F., Horne, P. J., & Higson, P. J. (1987). Operant conditioning: The hiatus between theory and practice in clinical psychology. In H.J. Eysenck and I. Martin (Eds), Theoretical Foundations of Behavior Therapy. New York: Plenum, 153-165. Lowe, C. F., & Horne, P. J. (1985). On the generality of behavioural principles: Human choice and the matching law. In C. F. Lowe, M. Richelle, & D. E. Blackman (Eds), Behaviour Analysis and Contemporary Psychology. London: Lawrence Erlbaum Associates, 97-115. Horne, P.J., & Lowe, C.F. (1994). The development of naming, equivalence, and other "emergent" behavior. Infant Behavior and Development, 17, 304. Dowey, A. J., Griffiths, J. H., Horne, P. J., & Lowe, C.F. (1995). Children's food choices: Social and psychological determinants. Appetite, 24, 185. Fleming, P. F. J., Horne, P. J., Lowe, C. F., & Griffiths, J. H. (1995). Infants' acquisition of food preferences III. Appetite, 24, 187. Fleming, P.F.J., Horne, P.J., Lowe, C.F., & Dowey, A.J. (1995). Changing food preferences in children. Appetite, 24, 266. Horne, P.J., & Lowe, C.F. (1982). Determinants of human performance on multiple concurrent variable-interval schedules. Behaviour Analysis Letters, 2, 186-7.